Why is it that Ben and Jerry’s hasn’t been able to figure it out? Well it’s simply because there are no actual marshmallows in the mix. Yes you read right. So how does one create the flavour of a marshmallow that has been toasting over a campfire till it’s crusty and golden on the outside, and melted and gooey on the inside. Beats me! 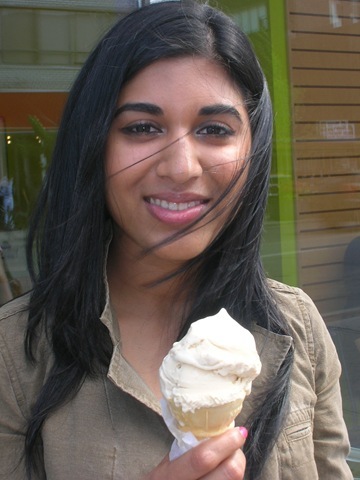 I even questioned the infamous king of ice cream David Lebovitz in a radio interview, where he suggested I try baking marshmallow fluff in the oven and incorporating that into an ice cream base. I will admit that I have not given it a go, but I’m not sure that it’s the answer to this flawlessly smooth concoction that has no traces of goo anywhere. Which leads me to the question, what the heck is in it? I made the trip to their location in the Annex, and surrendered myself. Fully committed to the cause I ordered a cone, and took my first lick. The roasted flavour was through the roof, and right on. The milky, and almost tan tinge of the ice cream almost confirmed the absence of real marshmallows in the mix, although the spot on flavouring told another story. 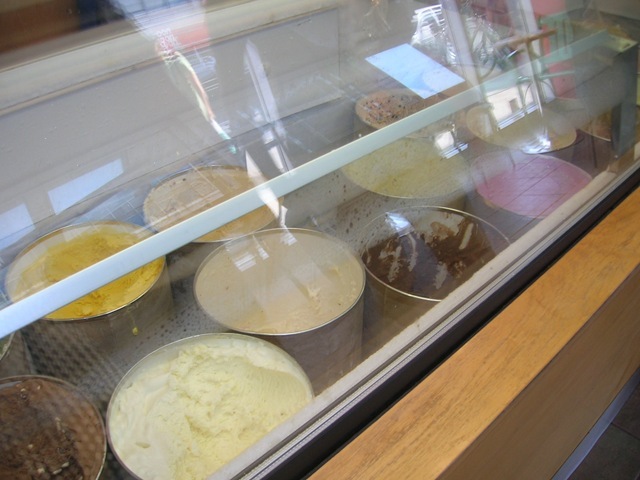 I will admit that I am still partial to Hollywood Gelato’s version, the only other ice creamery in the city that was capable of replicating the flavour. Their version is made in a gelato machine and is velvety, soft, and has little black specks in it that are very reminiscent of the charred bits one would find on a campfire marshmallow. 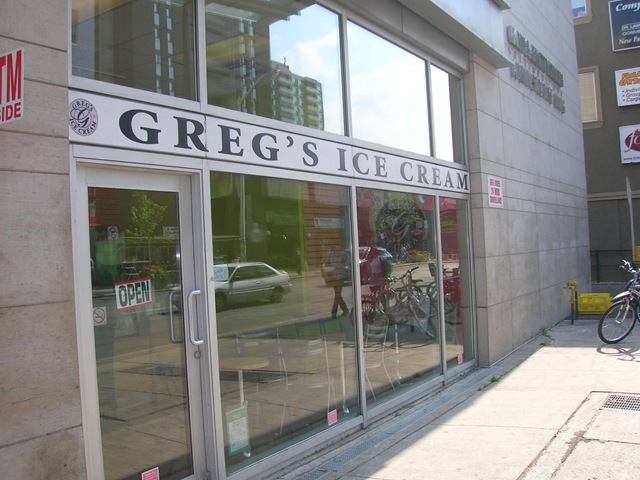 If you can’t make it to a camp ground this summer, then check out Greg’s at Bloor and Spadina. And if you’re camping, it wouldn’t hurt to have a tub of this stuff in your cooler. Haha awesome! I’ve been there a couple of times when d/t – They had star anise as a flavour recently. I was skeptical but tried it and it was surprisingly awesome! Still have to try roasted marshmallow.